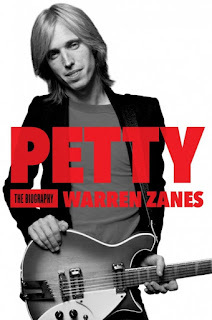 “I could always look around the room,” Petty says, “in the studio, say, and know right where I stand with everybody there, except Stan.” Lynch’s ways of handling his fears about Petty breaking up the band generally found the drummer doing more to ensure that the band did break up than anything else. That Lynch had more skills than were being used in the Heartbreakers hardly set him apart within the group. He’d gotten a publishing deal with Warner/Chappell in the early 1980s. He had ambitions. “Stan was more talented than just being a drummer,” says Petty. “He was quite a bright guy. He wrote music, though he never approached me with any. But he was a songwriter, a producer. There was a lot he was capable of. But there never would’ve been that outlet for him in the Heartbreakers.” Petty says Lynch was kicked out of the band “two or three times.” Others see that as a low estimate. Lynch’s decision to move back to Florida shortly after Full Moon Fever, leaving Los Angeles for good, was the geographic symbol of an emotional divide that the band and crew had been living with for years. By the time Petty and Rick Rubin had begun to commingle their ambitions for what would become Wildflowers, and Petty had entered into a writing phase that would be richer than any other in his career, the question came up again: is this going to be a band record? “I said to Tom, ‘Do you want to do it with your band? Do you want to put a band together? Like, how do you want to do this?’” recalls Rubin. “I was completely open to however he wanted to approach it. The album that I was a fan of was not a Heartbreakers album, so I wasn’t tied to that. It was really more up to Tom. And he talked a lot about not wanting Stan to play on Wildflowers.” Which meant that Petty was again weighing his own ambitions in record making against his loyalty to the band. It wasn’t a place he liked to be, but it was a place he often found himself. Loyalty, which seemed unambiguous as a virtue, was bringing him a lot of trouble. He resented the people with whom he had to work the hardest to remain loyal, which meant Stan Lynch but also his wife, Jane. How could they not feel it? Surely they did. Some days they hated him.